This is the official download page of RapidTyping. Here, you can always download the latest versions of Rapid Typing Tutor, directly from the development team. We do not sell RapidTyping, it really is free. It's free for personal or corporate use, no registration or usage limitations, no toolbars or adware, no Internet-access needed to run the program! There's also a portable version of RapidTyping (with no installation whatsoever on your system). RapidTyping supports: Windows XP, Vista, 7, 8 and Windows 10 (including all the 64-bit versions). Silent install mode is available for setup version. Installer options: /S for silent installation, /D=dir to specify the "output directory"
Notice: These options are case-sensitive, so be sure to type them in upper case. RapidTyping is a convenient and easy-to-use keyboard trainer that will help you improve your typing speed and reduce typos. 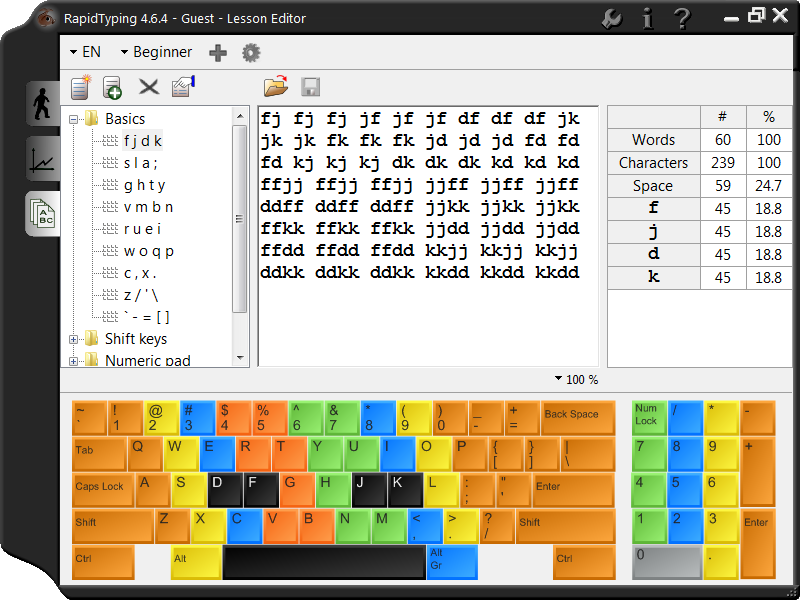 With its lessons organized around various keyboard groups, the RapidTyping software will teach you touch typing in a short time. RapidTyping includes a virtual keyboard that will prompt which keys to press while you're making your way through the typing lessons. You can choose from three levels, which are Beginner, Advanced, and Expert. You can evaluate your own performance or that of your kids or students at any time by simply looking at charts. 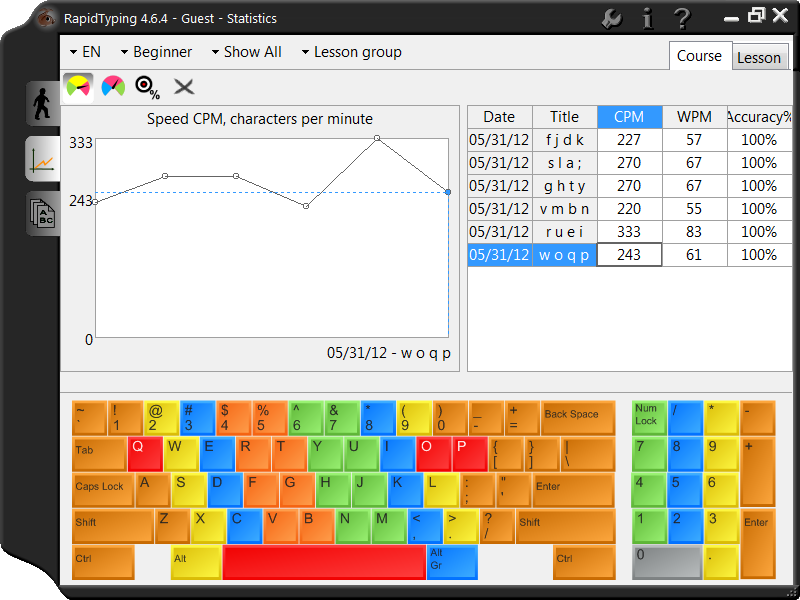 Typing Tutor tracks your progress, and allows you to view your results at any time. Lesson Editor makes all the lessons fully customizable. You can add, insert, change, and delete lessons, group them in courses, and review the corresponding metrics. You can also install this tool on a local server in a classroom so that it can be easily run on each workstation via the network. - Possible for run without installation. - All additions are included. - Included all features the setup version.